Two of the scents she sent me are from La Collection Privée Christian Dior, which is an exclusive, upscale (read, expensive) branch of the vast Dior empire. The line in its present iteration came into existence in 2010, with the introduction of 10 scents; some that were reproductions of classic masculine and feminine scents that hadn’t seen daylight in decades. Others were new creations, comprised of “carefully selected, exceptional raw materials”. The description on the Dior website says La Colle Noir “is a sunny composition in homage to the land of Grasse, which plays a vital role in the history of Dior fragrances, and to its flower queen, Rose de Mai. Located not far from Grasse, the Château de La Colle Noire was purchased by Christian Dior in 1951. It was, for him, a genuine haven of peace lovingly shaped by his own hand, where he grew his beloved flowers that had already become the signature of Dior fragrances.” The notes also include spices, woods, amber and musk. You would think that any composition that includes amber, woods and spices would be quite heavy, but this scent is not. It is rose, in all its glory, but with a gentle warmth that compliments it so perfectly, that this can be worn year-round without fear of it becoming overwhelming. 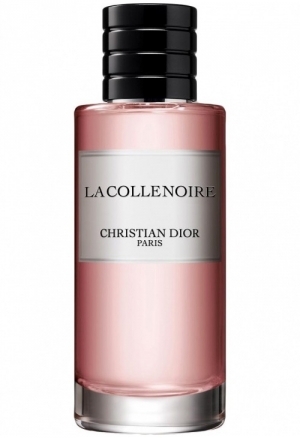 I’ve said countless times that for me to wear a rose fragrance, it has to be an amalgamation of the flower with a strong supporting cast, and La Colle Noir fits the bill. I like to think that it smells like Grasse in the autumn, when all the roses have been harvested, but their scent lingers in the cooling air, mingling with the warmth contained within the stately châteaus and cozy cottages sprinkled throughout the breathtaking area known the world over as the epicenter of classic and traditional perfumery. Who wouldn’t love having a namesake fragrance? I think it is one of the highest honors one could ever have bestowed upon them. Your very essence bottled, however, can be a blessing or a curse depending on how others perceive you. In this case, Mitzah is an homage to “feline femininity” with notes of coriander, rose, spices, cinnamon, labdanum, vanilla, honey, patchouli and incense. The rose in this composition is very faint, but frankincense is also mixed in there, and is very prominent to my nose. The entire scent is warm, comforting and appropriate for cooler days when you need something to keep you calm and collected. 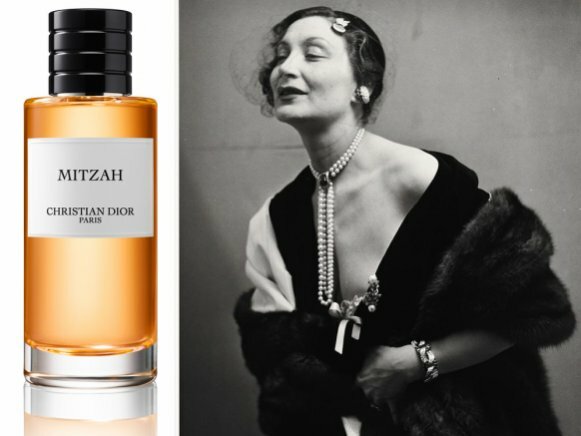 I’d like to think that Mitzah the woman did that for Monsieur Dior, because if she smelled anything like what has been bottled in her honor, she must have been one hell of a grand dame. La Collection Privée Christian Dior is available for purchase on Dior’s website. The bottles range in size from 4.25 to 8.5 fluid ounces, and in price from $210 to over $400 depending upon the size. You get what you pay for here, and these are scents that any perfume aficionaado would love to have in his or her collection. Some Housekeeping: Both La Colle Noir and Mitzah are eau de parfum strength. Thanks to Fragrantica.com and Now Smell This for being invaluable online resources for all things scent related. Local Scent Hounds should pay a visit to House of Vartan in the lovely courtyard at Thornton Place in North Seattle. Brendan Vartan, a former rep for Giorgio Armani and Shiseido, opened his eponymous shop a few months ago, and I had the pleasure of meeting him over the weekend. His shop specializes in cosmetics, spa and hair services, and is also home to a curated collection of niche fragrances that includes the Eau d’Italie, Jul et Mad, and Kerosene line of scents. If you’re in the area, stop in and see Brendan. You won’t regret it.